Only two weeks to the end of WWII and the U.S Navy began a design competition for a carrier-based bomber which could carry a 10,000-pound bomb. An atomic bomb. The AJ Savage. The North American Aviation Company won the contract and three years later in 1948 the first prototype made its maiden flight, two of the three prototypes crashed during testing however the first batch of the aircraft had already been ordered in October 1947. 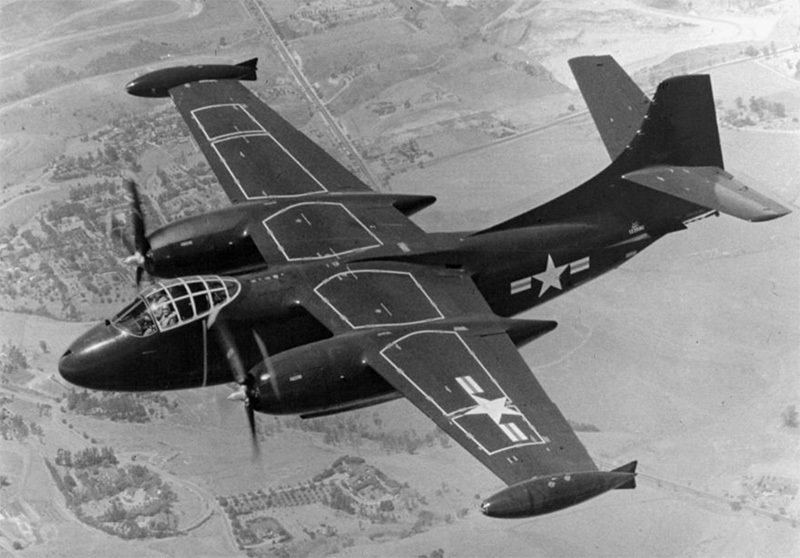 The significant differences between the XAJ-1 and the production aircraft was the ability to accommodate a third crew member. The first flight of the production aircraft was in May 1949. The first carrier takeoff and landing of the bomber from the USS Coral Sea on 21st April 1950. At the time these were the largest carrier based aircraft in the US fleet. A very rare aircraft with only 140 + 3 prototypes ever built. There is only one of these still intact and it is located at a museum in Pensacola, USA. The AJ-1s were adapted and improved, engines were upgraded from 2300bhp to 2800bhp, taller tails fins and a larger rudder was developed. The early designs kept with the three man crew configuration and the later models included a four man crew. The AJ-2 was born. In 1957 Lt. Commander Jess R. Rowland from the Heavy Attack Squadron 6 based at Cubi Point, ditched the AJ-2 Savage just outside the bay off Silanguin. The Lt. Commander was on a routine bombing practice when it was reported that propeller over speed resulted in engine failure, all crew members survived. This wreck is in 72m of water very intact except some damage to the rear fuselage and 1 propellor missing. The propellor likely broke off as a result of the engine over speed. A blue water dive and a must for trimix divers to tick off their bucket list.